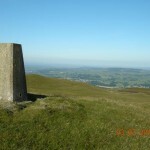 The view across Wenningdale to the south-western edge of the Yorkshire Dales National Park can be enjoyed from many parts of Tatham Fells. 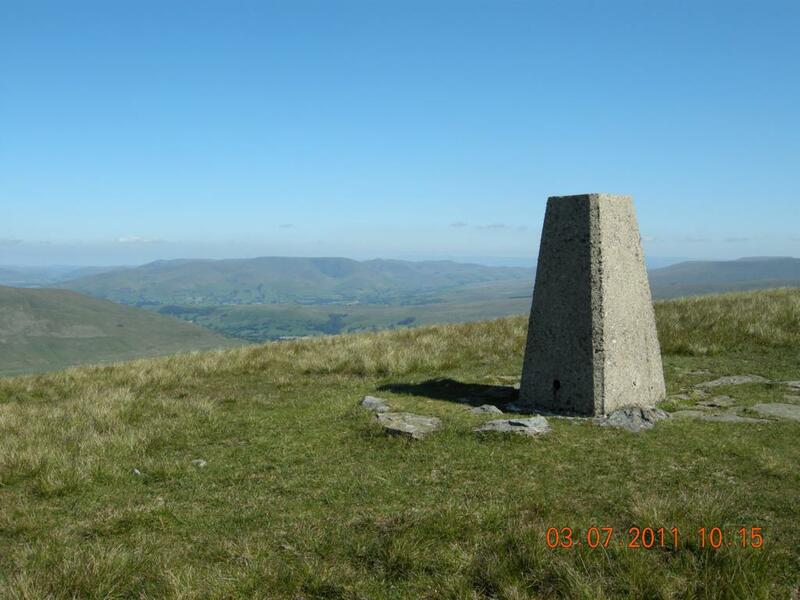 Click the image above for a guide to the skyline summits. 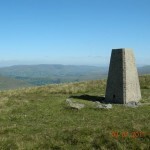 The summits can be linked in a long day walk. 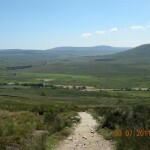 You can view a photographic record of one such walk below, and there are some notes on the route at the bottom of the page. 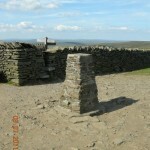 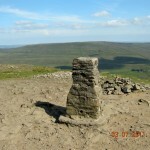 Whernside summit Tatham Fells school was there too! 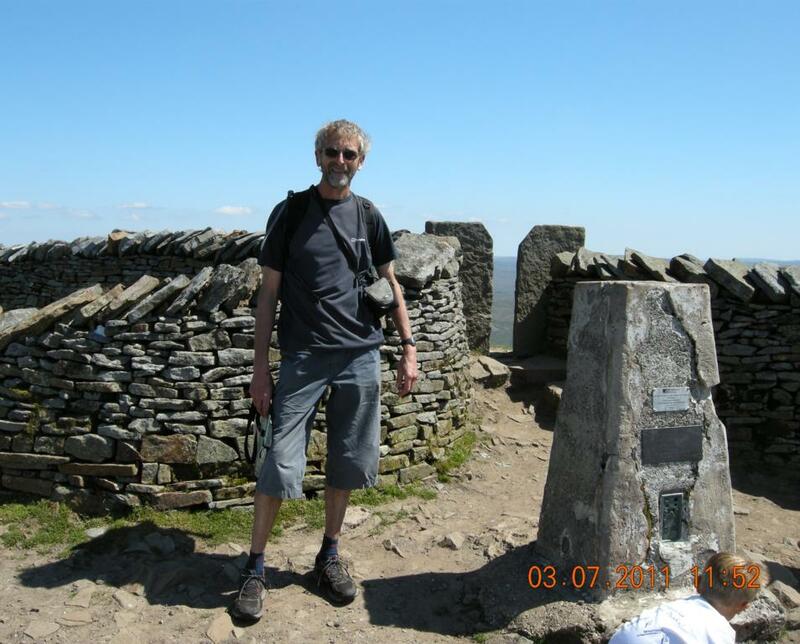 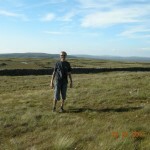 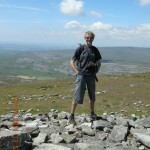 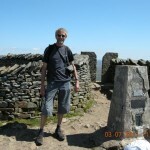 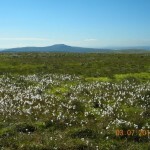 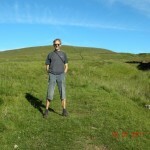 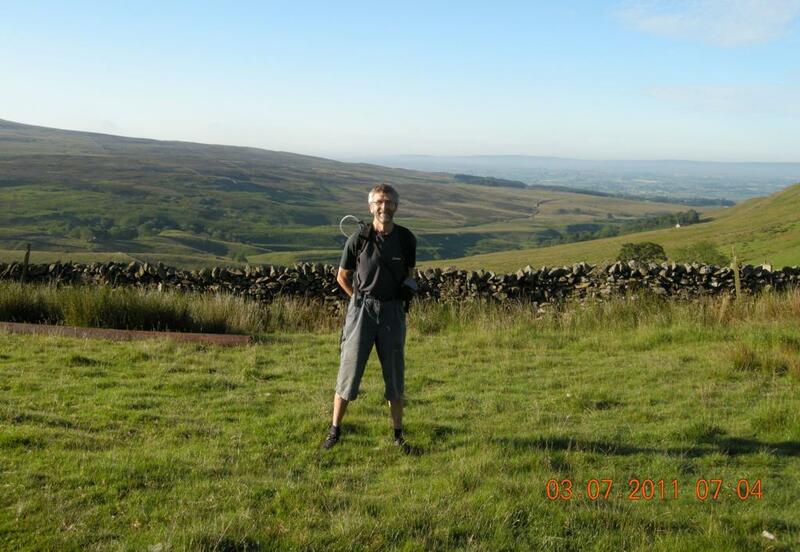 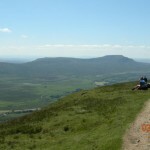 The route taken on the walk illustrated was 28 miles with 8275′ of climbing (45km / 2530m). 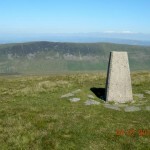 It included the summits named in dark blue on the skyline photo guide at the top of the page – the main fells visible from most places in Tatham Fells. 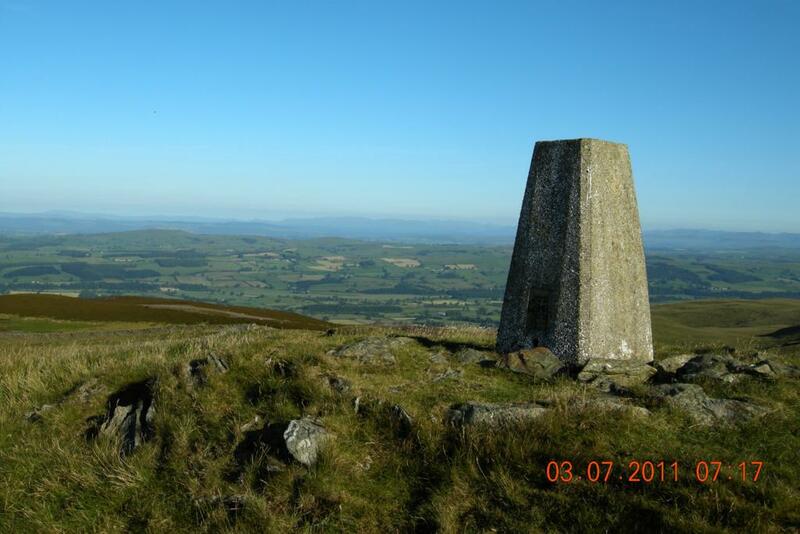 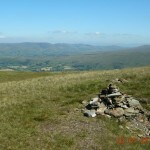 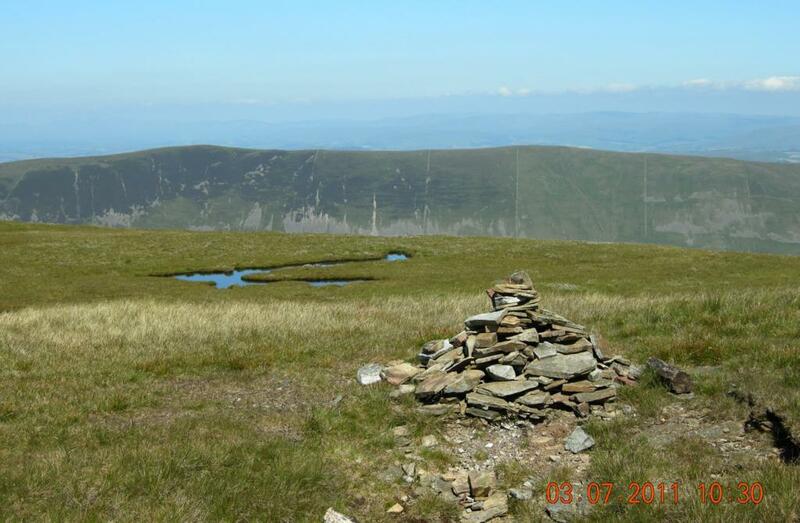 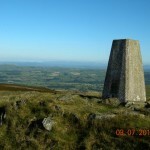 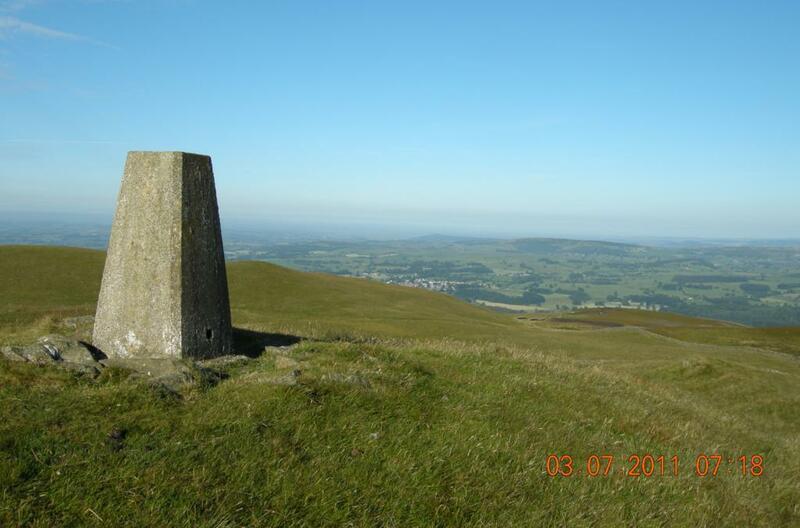 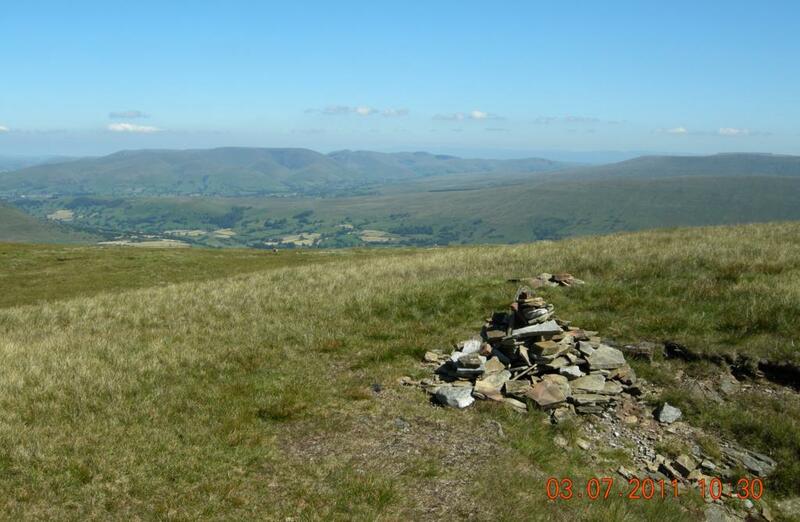 More distant summits may appear on the skyline, depending on where in Tatham Fells you stand. 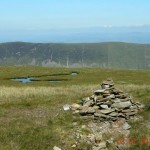 Great Knoutberry Hill is visible from the Big Stone, but as you go higher, others – such as Dodd Fell – appear over the shoulders of the nearer fells. 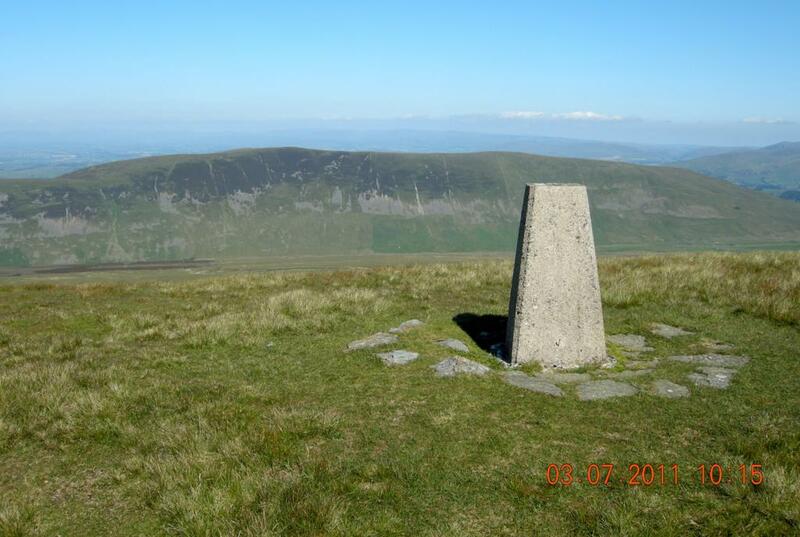 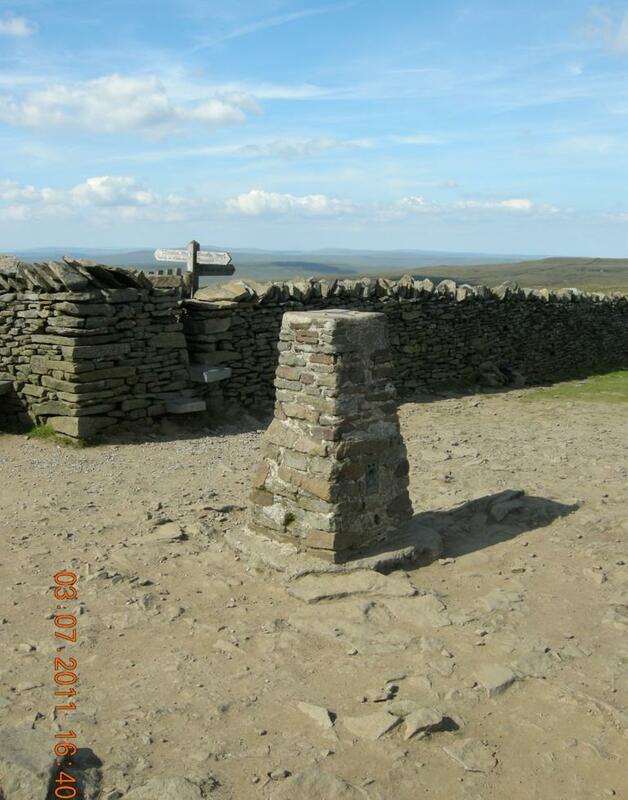 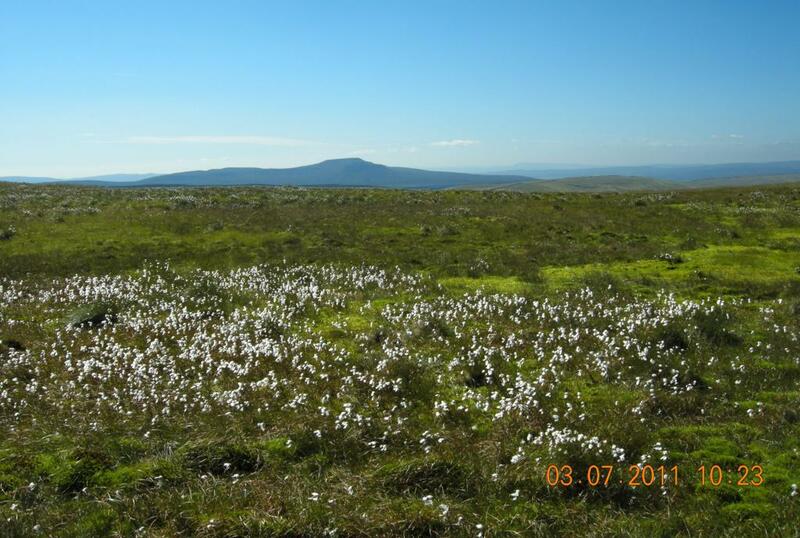 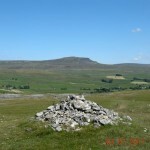 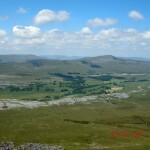 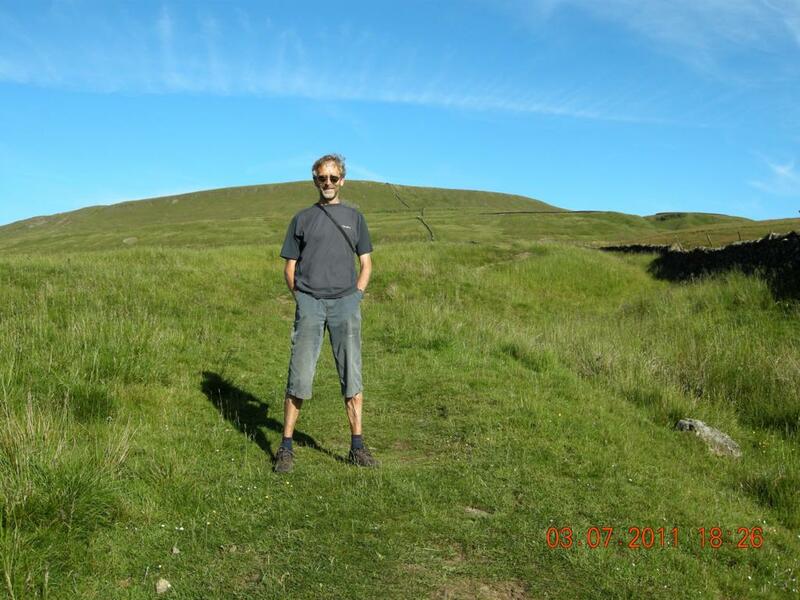 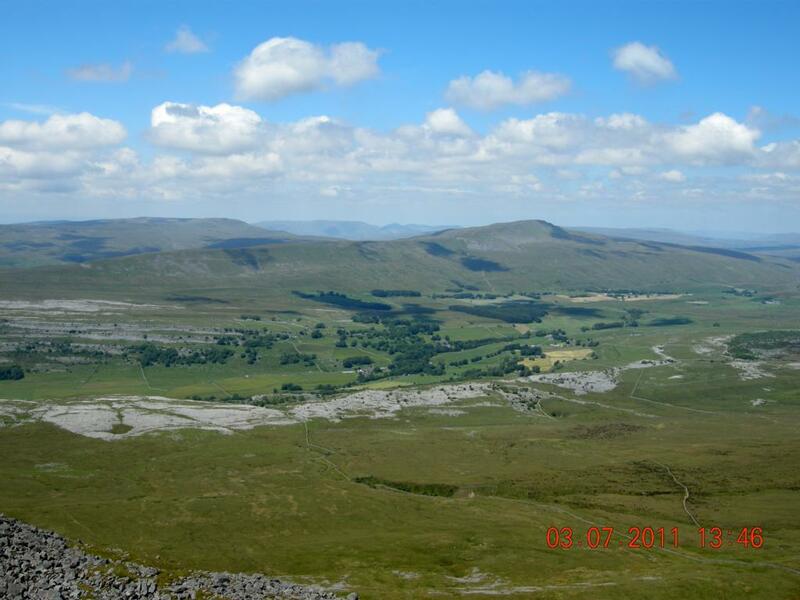 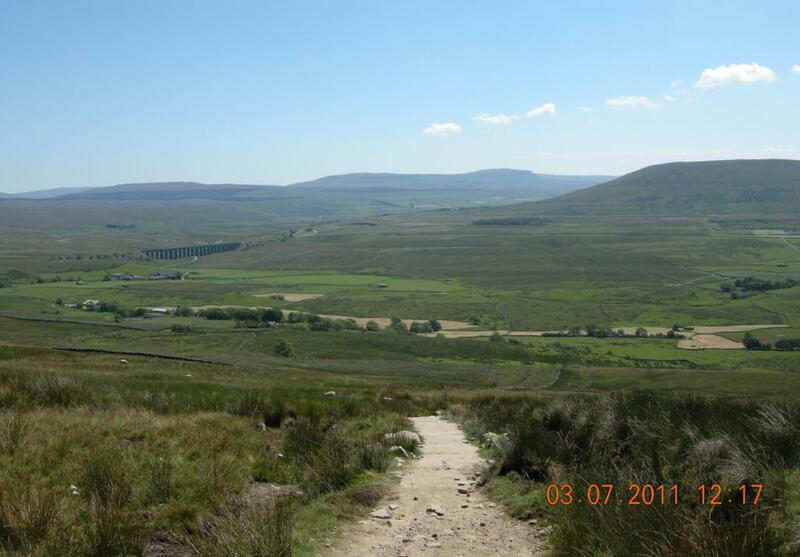 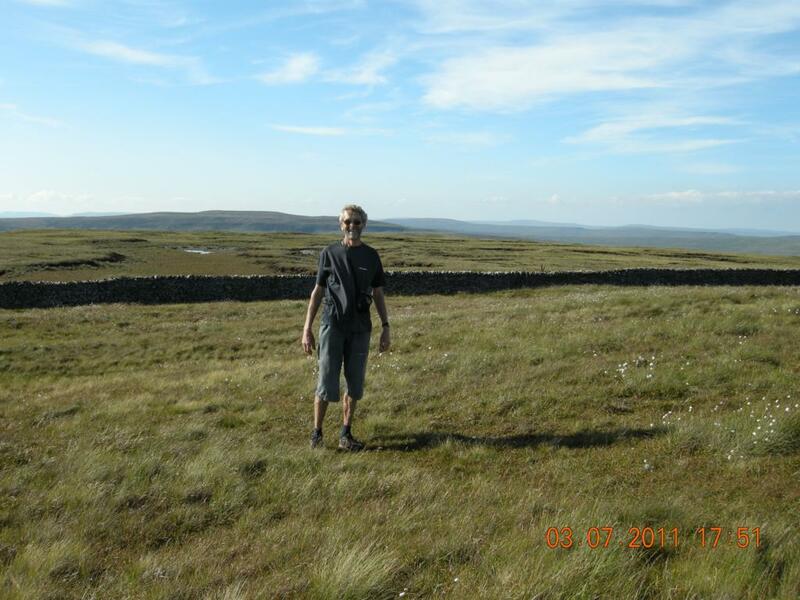 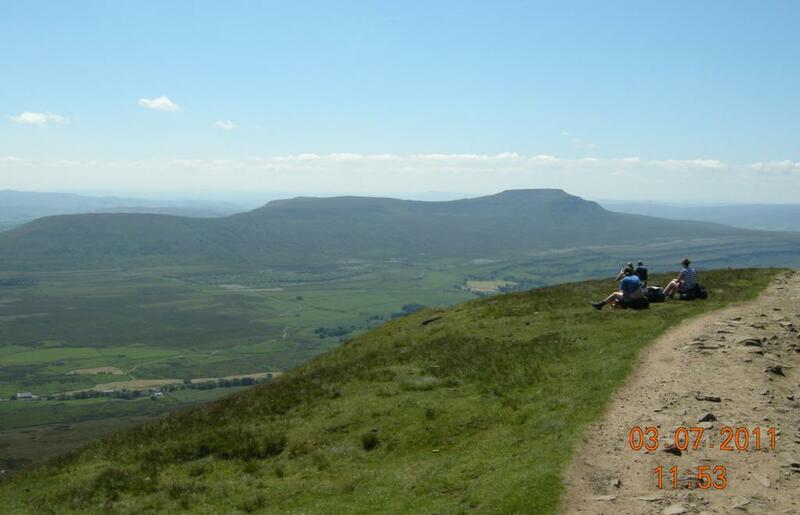 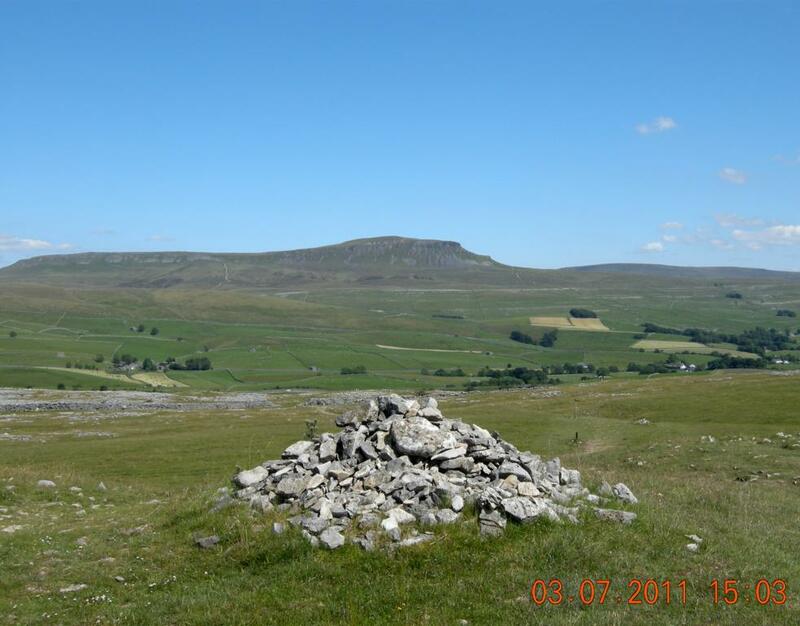 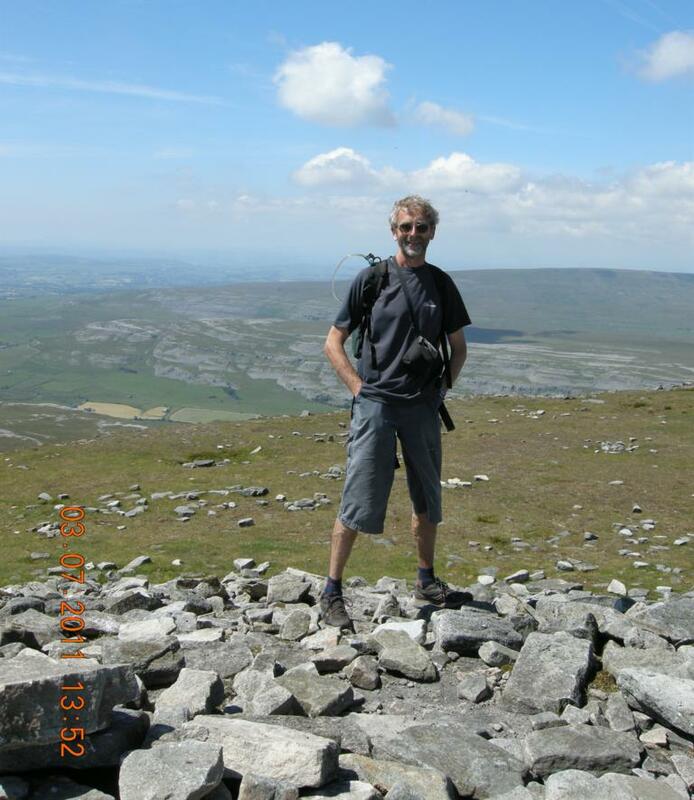 If you have lots of time and energy, you could include Gragareth (+ 4 miles / 350′) and Plover Hill (+ 2 miles / 175′) in your route, but these are really subsidiary summits of their neighbours, Great Coum and Penyghent respectively, and visiting them would necessitate some out-and-back repetition. 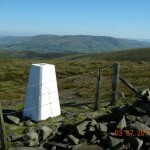 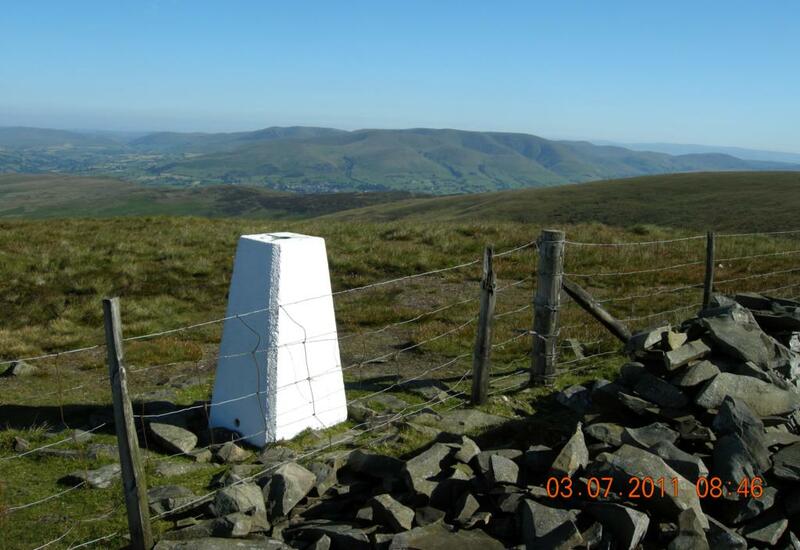 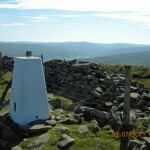 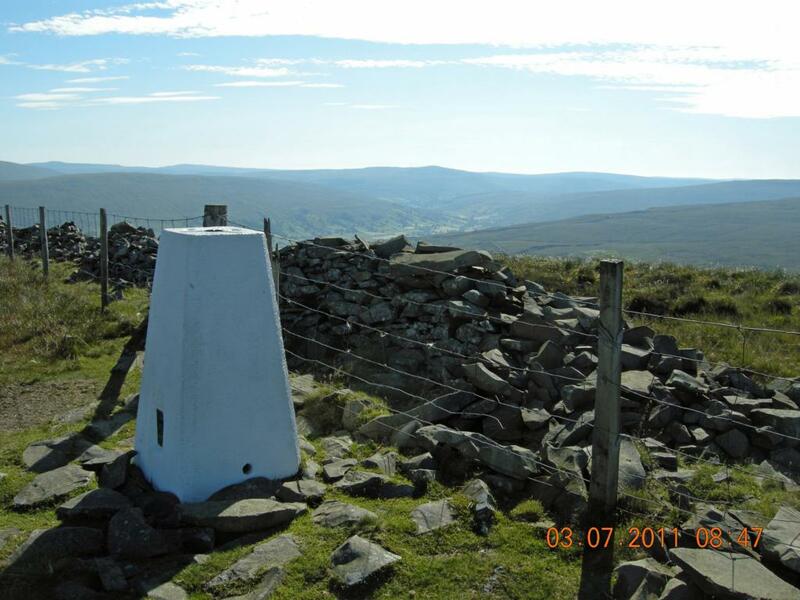 Other possible variants would be to use different start / finish points; or to omit Barbon Low Fell. 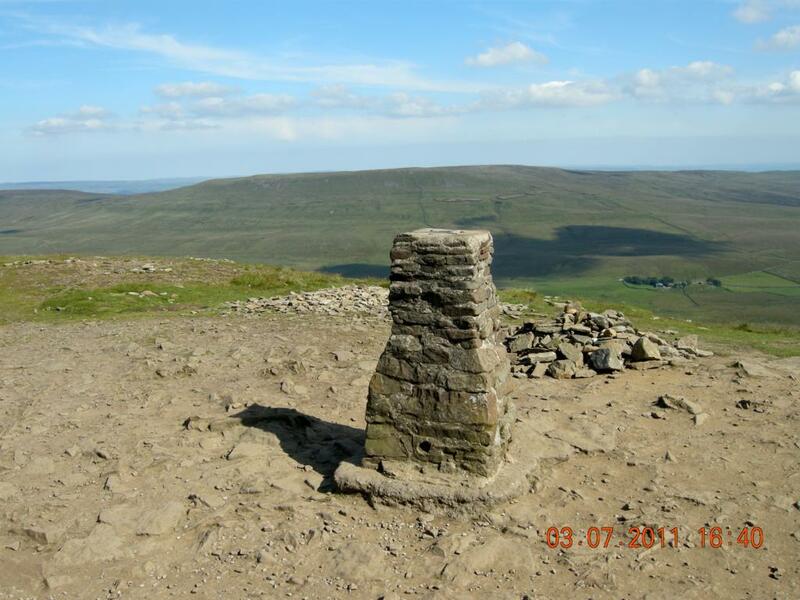 Whichever version you do, it’ll be a better way of doing the Three Peaks than trying to make a circle of them!